In the early church, the mark of those who followed Christ was that they had received the Spirit. This is seen throughout the Book of Acts. My favorite story along these lines is when Paul encounters a group of twelve people who were trying to follow John the Baptist’s teachings, but were not aware that Jesus – the one whom John had been prophesying about — had arrived, been crucified, risen from the dead, and at Pentecost sent the Spirit to live within his followers. When Paul comes upon this little group, he doesn’t ask them the question that has become so important in many Christians circles today, “Do you know you will go to heaven when you die?” Instead, Paul asks, “Did you receive the Holy Spirit when you became believers?” They replied, “No, we have not even heard that there is a Holy Spirit” (Act 19:2 NRS). Paul then tells them the story of Jesus, lays hands on them, and they receive the Spirit. Likewise, there is a story in Acts 10 of a man named Cornelius who was seeking God, but who had never heard of Jesus. 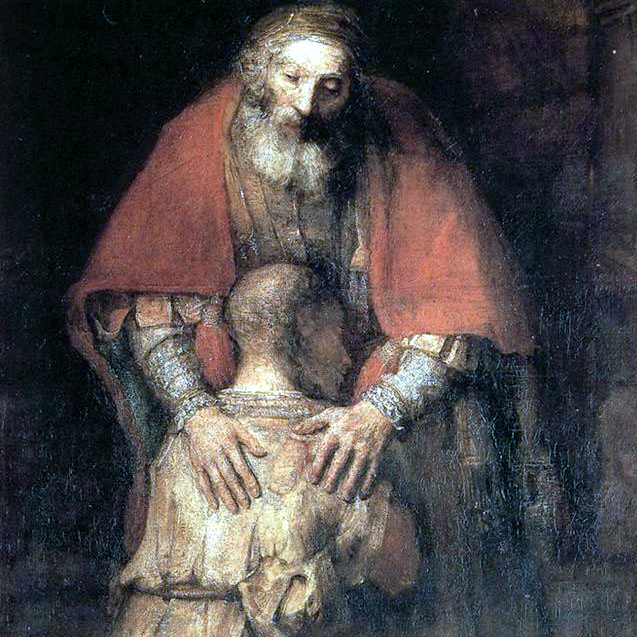 Peter, the head of the church, has a vision to go talk to Cornelius whom he has never even met and who lives some distance away. When Peter arrives, Cornelius and his friends are expecting him. Peter tells them the story of Jesus and as he is talking, they receive the Spirit. Jesus had promised the Spirit would come upon his followers after he ascended into heaven (John 14). Through this Spirit, they would have both the wisdom and power to continue the mission of Christ serving God and others. The Spirit was the portal to God that had been made possible in Jesus’s life, death, and resurrection. I don’t think things have changed. I believe that this should still be the relevant question today. So how do we receive the Spirit? Paul answered this question “. . . by the hearing of faith” (Gal 3:2). Paul taught that we were to hear the story of Jesus making it our own by becoming Jesus’s followers. Then we too would receive the Spirit. ← Does the Old Testament point to Jesus?